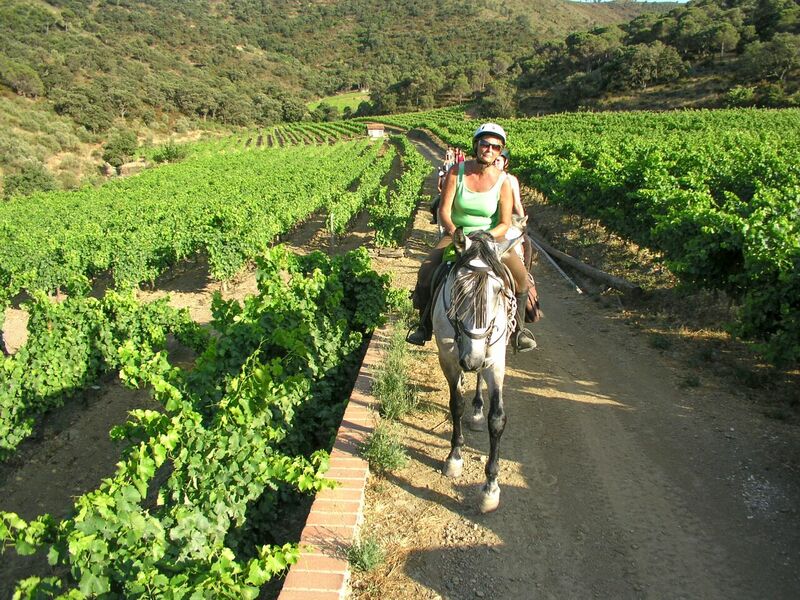 Included – All riding, full board accommodation, wine with dinner. Excluded – Flights, transfers, soft drinks & alcohol, coffee at dinner & tips. NOTE There may be some meals that are not included, which we will specify at time of booking, but no more than 3 meals on any one ride and no more than 30Euros per meal to be paid directly. International flight to Girona or Barcelona. Group transfer at 5:30 pm. It’s in front of the Café TRAMOYA at the Group Meeting Point North located opposite the “Oficina de Turisme” (after the customs on the right) at Terminal 1. If clients arrive at Terminal T2, there is a shuttle bus every five minutes to Terminal T1. Book flights to depart from 2:30 pm onwards. Group transfer at 6:30 pm. The meeting point at the airport is in front of Café CAFFRICCIO in the arrivals hall. Book flights to depart from 1:00 pm onwards. Transfer costs are €45 each way per person from Girona airport and €60 each way per person from Barcelona airport. If the arranged transfer times do not fit, we can easily arrange a private transfer for you. The costs are approximately €80-€120 from Girona, €240-€280 from Barcelona, depending on the trail start/end points. 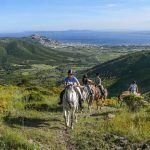 This is an amazing collection of 4 different trail rides in the North of Spain for riders, who wish to ride and experience some culture through a love of the Spanish horse, art and food. You will be riding, fit, Andalucian type horses, which have been selected carefully and well handled by owner Rude Sotlz. Along the way, you can expect to stay in guesthouses, hotels, and farmhouses, all chosen for their warm welcome and charm. In 1993 Rudi Stolz had the idea to create trail rides in Catalonia and over the years the rides have developed from one week round trips to a variety of different and challenging trail-rides, covering the Catalan countryside from the mountains to the sea. Rudi‘s trails are captivating as he manages to show the rider the stunning beauty of the country, on trails that are varied in speed and terrain (from small hidden paths and tracks to wide open beaches). 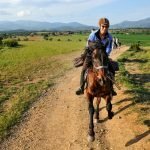 With his many years of experience he is able to take you on a riding journey to explore the culture, scenery and cuisine of the local area and people. Rudi‘s rides are safe and balanced, which is attributable to his intensive training and the natural handling of the horses. Catalonia Trails Ride: Horses – Andalusians & Andalusian Crosses, Arabs & Arabs Crosses. Good endurance type of horses, which are forward going, responsive rides. You are expected to tack and untack your horse each day. Level of Riding & Pace – Intermediate to Advanced. There are long days in the saddle, and we would advise a certain level of fitness to enjoy this holiday fully. Tack – English Style riding, with their own specifically designed trekking saddles, saddle cloths and saddlebags for maximum comfort for you and your horses. Weight Restriction – 14 Stone / 90 kg / 200 lbs. Heavier riders can be accommodated, please tell us at time of booking and we can check and make sure the bigger horses are made available. Group Size – Minimum 4 – Maximum 12. All the accommodation is carefully selected, they are charming, clean, comfortable and well run. Please read all the individual itineraries below for each ride to get an idea of the type of overnight stays on the different trails. You can expect a very high quality of Spanish cuisine, the area is known for fresh vegetables, fruit, game and fish. Breakfasts are continental style, lunches mostly packed in the saddle bags and include local cheeses, hams, salads, bread and wine. Dinners are 3 courses and reflect the local ingredients and style of cooking. This trail leads you to the sandy beaches, bays, and mountains of the Catalonian coast. The highlight is staying overnight in one of the oldest P.R.E. horse studs in Catalonia. 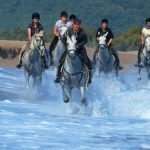 A gallop on the beach, vast and diverse landscapes, visiting wine cellars (including a wine and a cava tasting), comfortable and luxurious accommodation and the delicious Catalan cuisine ensure an unforgettable horse riding holiday. Arrival at Barcelona or Girona and transfer to a beautifully situated country hotel, a typical Catalonian house built of natural stone. 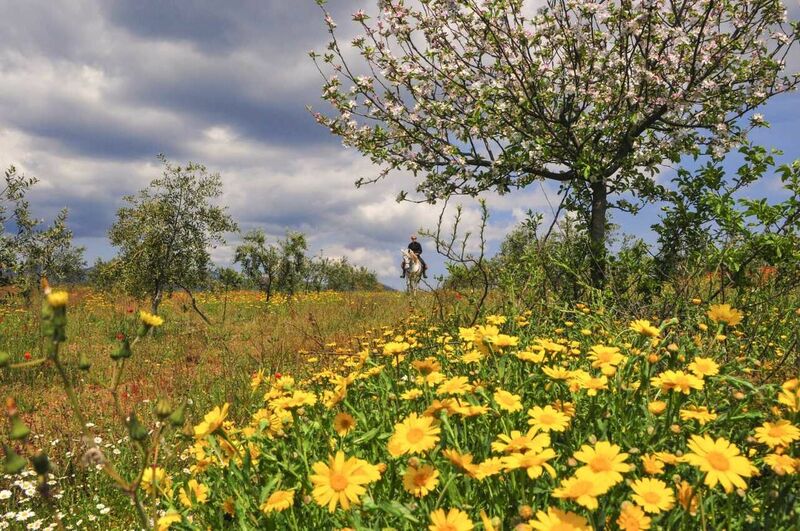 It dates back to the 17th century, and it is surrounded by woods as well as walnut tree and olive groves. The location in this idyllic area where silence and tranquillity prevail makes this guest house the ideal place to enjoy nature and to relax. The lovingly designed garden, the pool, the meadows,and forests provide a wonderful atmosphere. What a place to start your horse riding holiday! A delicious breakfast is followed by a short transfer to our horse farm Mas Alba where we meet our proud Spanish four-legged partners. We saddle the horses and start our first riding day that leads us through thick stone oak and pine forests towards the river Fluvia. Sunrays break through the deep green of the seemingly tropical jungle. Bamboo trees border the path, and high up creepers and vines grow around the trees. We are in Spain, but the atmosphere reminds of Costa Rica. At the river, a lunch table prepared with love is waiting for us. We enjoy various Catalan delights. Fresh salad, Manchego cheese, home made goat cheese, fruits such as figs, peaches and cherries complete the fantastic lunch. In the afternoon, we ride to our friend Bogi. The South American style garden is a wonderfully relaxing paradise. This unique and romantic place is the first accommodation for our well trained horses and for us. the coast. Depending on the season, we spend the night in a beautiful beach hotel by the sea, or in a mill from the 16th century close to the beach. In front of us we find a long sandy beach. The water splashes, the sand flies, and we canter into the sunrise. The horses play with the waves while we try to stay dry. An unforgettable experience! In the middle of the bay the river Fluvia flows into the sea. Behind the river lies the wetland of Aiguamolls. Amid the rice fields we discover our impressive accommodation for the night: Catalonia’s oldest P.R.E. 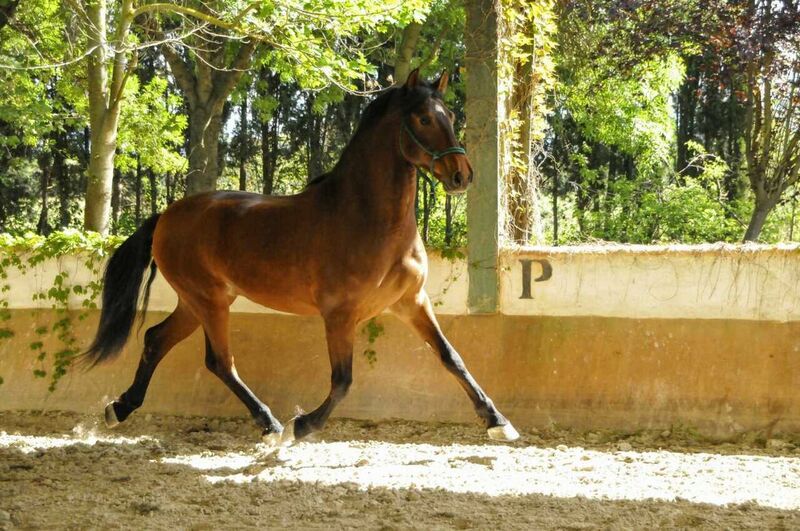 (Pura Raza Española) Andalusian horse stud. The stud owns more than 30 brood mares and excellent stallions, some with a significant impact on the breeding of the Pura Raza Española. The horses that are bred here are not only characterized by their beauty, but also by their outstanding attitude and rideability. Besides wonderful horses and their history, charmingly furnished rooms await us. We have time to have a look around and to relax. And who knows – maybe you will find the horses of your dreams here! In this wonderful atmosphere, we are spoilt with delicious paella with seafood and fresh vegetables in the evening. 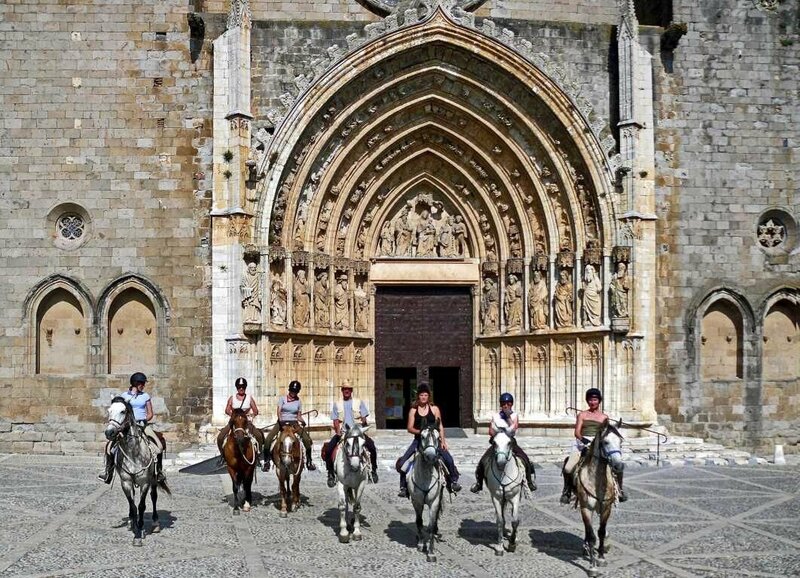 Trotting and cantering we reach the medieval Castelló with its impressive cathedral. Crossing grazing land, we ride speedily and pass fields of vines and sunflowers on our way to Perelada. Here we arrive at the friendly guesthouse of Fina and Pere. The beautiful garden and the swimming pool are perfect for relaxing! We enjoy our picnic and look forward to the afternoon when we will visit the glorious castle of the town and the local Bodega (winery), where we will not only learn interesting facts about Cava, but we will have a Cava tasting as well. Salud! 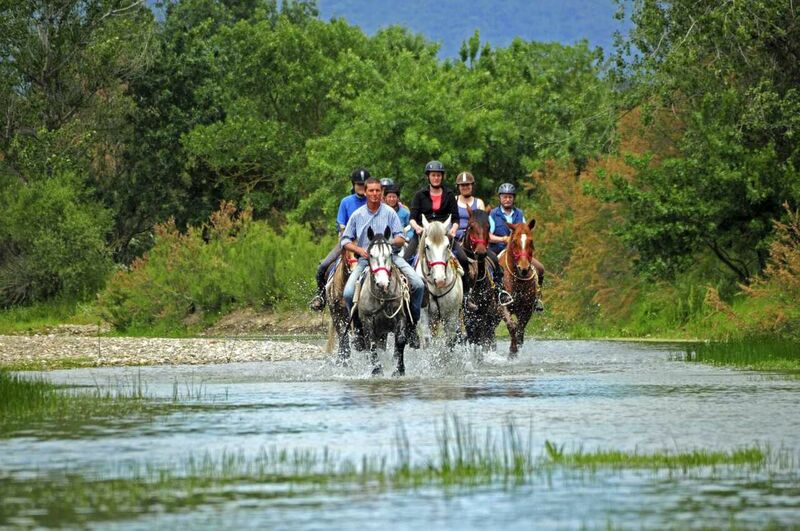 We follow the path of the river Llobregat and then ride through the wild landscape at the foot of the Albera Mountains. 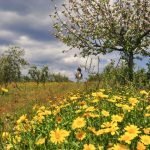 Cork and stone oak forests are now dominating the landscape occasionally interrupted by magical vineyards We visit a family run winery to try one of the best wines of this area and to indulge in Catalan delicacies. Full of new energy, we ride along laboriously built up stone terraces, and ancient olive trees line the path. Numerous colorful flowers grow in the flood plains of Orlina. Mystically raising round rock formations and Celtic tombs from pre-Christian times remind us of a great past. The lowlands of the Ampurdán resemble an amphitheatersurrounded by mountains, whose exit is at the Gulf of Roses. We stay the night at Emilia’s country house in the village of Garriguella, which lies in the wine growing district. The tasteful furnishing, the whirlpool and a nice ambience are perfect for relaxing. Emilia is well known for her delicious Mediterranean cuisine which we can enjoy extensively. Diligently our horses climb over the coastal mountains, the last foothills of the Pyrenees. Having reached the crest, a breathtaking panoramic view on the entire Gulf of Lion up to the mysterious mountain Canigó is awaiting us. After a delicious picnic at the beach, we travel back to Emilia’s country house. It’s nearly time to say farewell. We enjoy our last dinner together and let a wonderful week come to an end. Day 8: Hasta la vista! 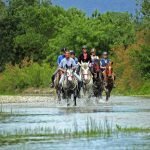 This is a pleasing trail ride for trail lovers who want to enjoy the spectacular scenery of the Costa Brava, but with relaxed riding days. On well-selected paths, we ride to the Cap de Creus, the easternmost point of Spain. Like a karstic dorsal fin, the Pyrenees sink into the sea. Fantastic views over the sea, hidden bays for swimming, a visit and overnight stay at the oldest Andalusian stud (P.R.E. 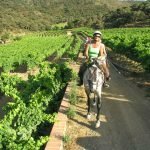 – Pura Raza Española) in Catalonia, wine tasting at an organic vinery, and probably the most beautiful fishing villages at the Costa Brava, such as Cadaques and Port de la Selva, transform this summer trail into a pleasure trail for ambitious riders. 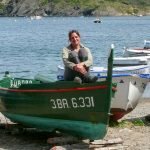 Day 1: Catalonian Coast – Summer Trail: Ride and experience Spain! Arrival in Barcelona or Girona and transfer to our Riding Centre Mas Alba, a typical Catalan stone house dating from the 16th century. From the beautifully decorated rooms we overlook the surrounding paddocks and woodland. At dinner, we meet our “new rider friends” and our tour guide. We depart from Mas Alba on our four-legged companions. Over fields and through dense forests our horses carry us reliably into the lonely outback of the Wild Coast. In this beautiful setting, a soothing calm and peacefulness surrounds us and we discover hidden natural stone villages. In this beautiful ambience, we soon enjoy a picnic with typical Catalan cuisine. Well rested, we ride downriver in the afternoon to a beautiful old mill situated at the edge of the river Fluvia. This cozy guest house offers us excellent accommodation. Before dinner we have time to explore the South American-style garden. This morning the river Fluvia accompanies us towards the sea. At some points, we cross the river safely and pass through beautiful Catalan villages on horseback with resounding hoof clatter. Under old cork trees our trail assistant has already laid the lunch table! What a magnificent place to enjoy the delights! Strengthened we get back on the road. In the afternoon, surrounded by rice fields, we arrive at our impressive home for the night. The oldest P.R.E. Stud of Catalonia (P.R.E. = Pure Spanish Breed). 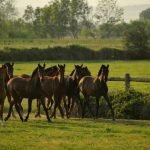 At the stud, the friendly owner proudly presents his horses and we learn many interesting facts about the history of the PRE-horse. And who knows, maybe you will find your dream horse here! In the evening in this wonderful atmosphere we will be spoiled with Catalan delicacies by our “gourmet chef” David. 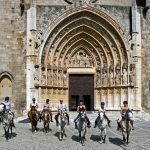 We leave the Stud Farm through the rice fields and ride across the plain of Emporda to Castello de Empuries with its mighty cathedral. We cross the northern marsh area of the Aiguamolls and get to the sandy beaches of Roses. Before we eat on the beach for lunch, we can visit the “Ciutadella” castle and of course we can have a swim in the sea. Near to Roses a luxurious house with swimming pool and Spa will be our attractive accommodation for the night. Like mountain goats our “Andalusians” climb into the mountainous Cap de Creus. High up on the pass we will be rewarded with breath-taking panoramic views. In the south, we look over the Gulf of Roses and in the north the Gulf de Lion. Herbs and flowers slumber by the wayside and isolated little cork oak forests spray Mediterranean flair. Our friend Diego brings organic wine down the valley. Diego prepares lunch for us and we have a delicious wine tasting. Particularly impressive is the 25-year-old “Garnacha” from the oak barrels. This “pleasure Drop” has been repeatedly honored as the best Catalan dessert wine! At the picturesque village of Selva de Mar we find our familiar homely accommodation for the night. We have the afternoon to ourselves and those who are interested can spend this time on the beach in Selva de Mar or explore one of the secluded bays. An old trade route winds through rocky terrain in the Natural Park of Cap de Creus. This is where the last foothills of the Pyrenees sink into the electric-blue sea. The vivid colours of the sky and sea, the eroded rock formations and the bright bays with their deep canyons immerse us in a bizarre coastal landscape. In a beautiful bay, we have a picnic and go for a swim – what a paradise! We spend our last night at Cadaques, a jewel of the Costa Brava. The whitewashed fishing village, with its old, winding streets is justly considered the most beautiful village on the Wild Coast. The best “Paella” in the village completes our last evening of the eventful journey. Day 7: Hasta la vista! Transfer to Barcelona or Girona or extension to another trail. 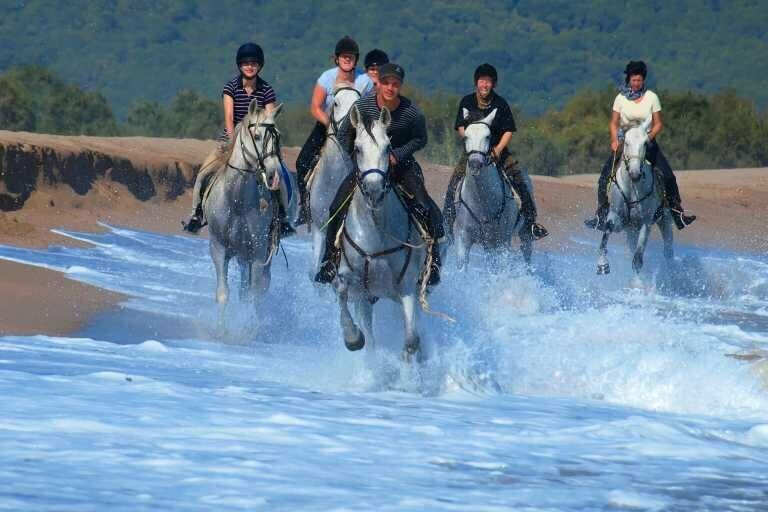 Pleasurable riding at the highest level – riding and gourmet, Andalusian horse stud and the coast of Catalonia! Tempting and delicious! This Gourmet Coast Trail spoils the rider in two ways as it provides pure pleasure for your palate and your soul! 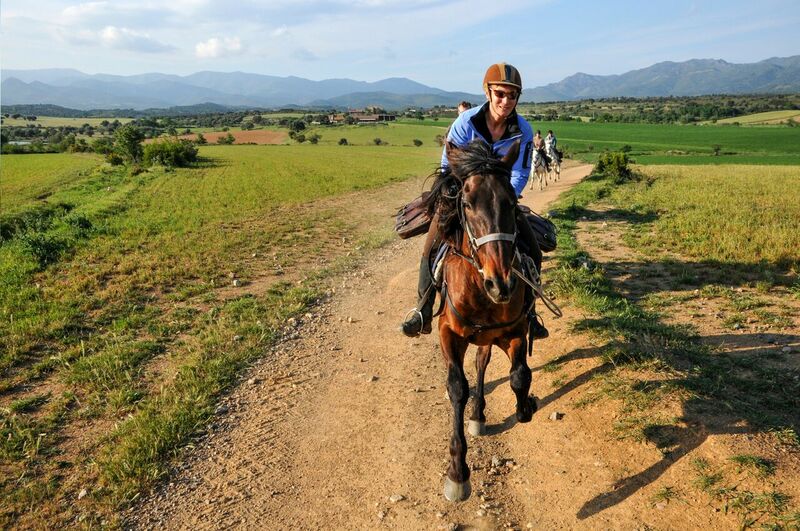 Spanish horses, gourmet food and spa treats: experience Catalonia with all your senses! Have you ever slept door to door with the most precious horses of an award-winning Andalusian horse stud? Do you enjoy the fresh taste of goat’s cheese or paella with local seafood and vegetables? Served with delicious wines from vines that are hundreds of years old? 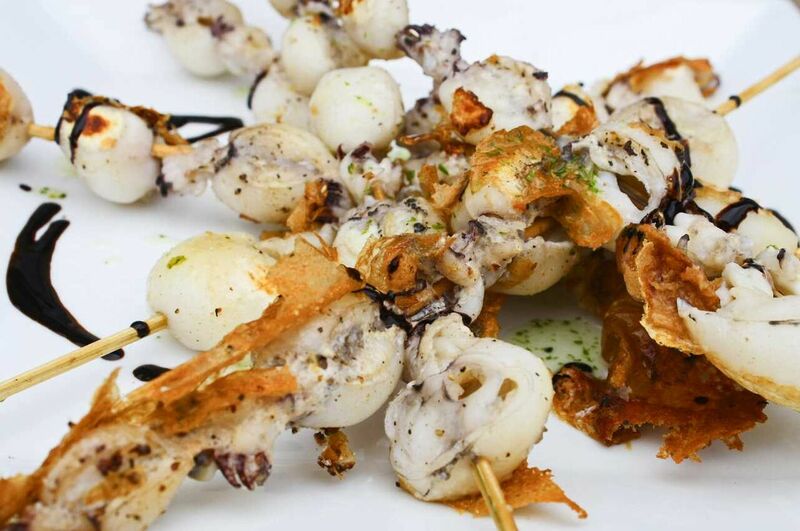 Dive into the variety of Catalonia’s culinary world. 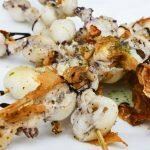 Whether typical tapas, regional fish or meat, homemade olive oil or a selection of fruits – let yourself be enchanted by our gourmet cook David and his exceptional cuisine! Enjoy the different regional wines with your meal – you will surely love Garnaxa and Cariñena! Allow yourself some relief after adventurous days with beach gallops. Let your muscles relax with a relieving massage. Horse riding, spa and gourmet food at its best: This is what makes your riding holiday in Spain so special! Individual arrival in Barcelona or Girona and free transfer to Mas Roca. Our friend Bogi welcomes us to his home, an old mill from the 16th century which enchants us with its unique character. We get to know our guide and our gourmet cook David, who will inspire us with the traditional cuisine of the Empordá region for the week ahead. Delicious dishes of lamb, goat or beef are part of David’s repertoire, as well as sole, gilthead and prawn. You will get to know and enjoy tapas and paellas. The tasty olive oil of the region will be part of your daily dishes, as well as homemade cheese specialties. David creates our first meal that we enjoy with a wonderful wine from the region. Our first riding day leads us away from the horse ranch Mas Alba, through forests of pine and stone-oak. In a hidden valley, we pass a small creek. Sunbeams break through the deep green of a tropical forest. Shrubs of bamboo line the path and lianas and climbers surround the trees above. We are in Catalonia but the ambience reminds us of Costa Rica. At the flood plains of the river Fluvia our head chef David awaits with a glass of sparkling Catalan Cava, which we enjoy while admiring the delightfully set table full of delicacies. Fresh bread, Manchego, homemade goat’s cheese and fruits such as figs, peaches and cherries make this a perfect lunch. In the evening, we ride to Bogi’s place, where we spend another night. The garden with its South American feel is a beautiful spot to relax! This romantic place offers unique accommodation both for us and our horses. And, of course, another Gourmet dinner created by David is waiting for us. Day 3: Andalusian horse P.R.E. stud in Catalonia! Today’s morning is dedicated to the river Fluvia that curls through the countryside. We follow it to the Gulf of Roses where the river flows into the ocean. David awaits us with a delicious picnic under old cork trees. What a great place to enjoy local delicacies! With renewed energy, we mount our horses once again. Amid paddy fields we reach our impressive accommodation for the night: Catalonia’s oldest P.R.E. 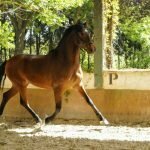 (Pura Rasa Española) Andalusian horse stud. Wonderful horses and charmingly furnished rooms await us. Tasteful furnishings and a great ambience are perfect for relaxing after a day’s riding. In this wonderful atmosphere, we are spoiled with delicious paella with seafood and fresh vegetables. Miles of a sandy beach are ahead of us. A dream comes true: pure horse riding! The water splashes, sand is everywhere and we gallop through the surf. Our horses play with the waves while we try to stay dry. After this great experience, we enjoy a gourmet picnic in the garden of the P.R.E Andalusian horse stud. We have a great view of the gorgeous brown Andalusian horses, grazing on the luscious green grass. We enjoy today’s gourmet picnic with the beautiful scenery. After lunch, those who want to can enjoy some relaxation with a massage from our masseuse Cerrie. Later we visit a horse presentation at the stud and get to know the history of the P.R.E. Andalusian horse. We have enough time to look around and relax. Who knows, maybe this is the place where you find your dream horse! We spend another evening at the noble stud and discuss the memories of the day while of course we are served another wonderful gourmet dinner! What flavour experience is waiting for us today? Will David conjure up something with Boletus and Chanterelle, or create a dish with wild boar or deer? Let yourself be surprised! We canter and gallop past the village of Castelló with its impressive cathedral. From there we get to the marsh of Aiguamolls which is refuge and hatchery to many birds. Crossing grazing land, we ride speedily and pass fields of vines and sunflowers on our way to Perelada. Here we arrive at the friendly guesthouse of Fina and Pere where we spend the night. The beautiful garden and the swimming pool are perfect for relaxing! We enjoy our picnic and look forward to the afternoon when we will visit the glorious castle and its Bodega. Here we not only learn a lot about Cava but we also have a cava tasting. Salud! Your body needs a little more pampering? No problem: if you like we can arrange a Spa treatment for you at the golf hotel in Perelada. Their specialties are treatments with wine, whether a body peel, a massage or a beauty treatment: wine can be used in several ways to refresh your body. If you like more “classical” treatments, there are many offers to choose from! After another eventful day, David is waiting for us with a terrific meal sweetened by tasty almonds, hazelnuts and walnuts of the region – what a great way to end a perfect day! Another highlight of our day is a tasting of the delicious local wines! We let the evening come to a comfortable end. The flood plains of the river Llobregat are not only home to a variety of flowers, but also mushrooms like Chanterelle, Boletus and Borel grow here very well. Our picnic break today includes visiting a bodega. During the wine tasting we get to know the grapes of the region and learn a little more about how their delicious taste ripens and develops. After this tasty and interesting break, we mount our horses again. We pass intricate stone terraces and age-old olive trees line the path. This is where the regional olive oil comes from, that plays an important role in the Catalan cuisine. 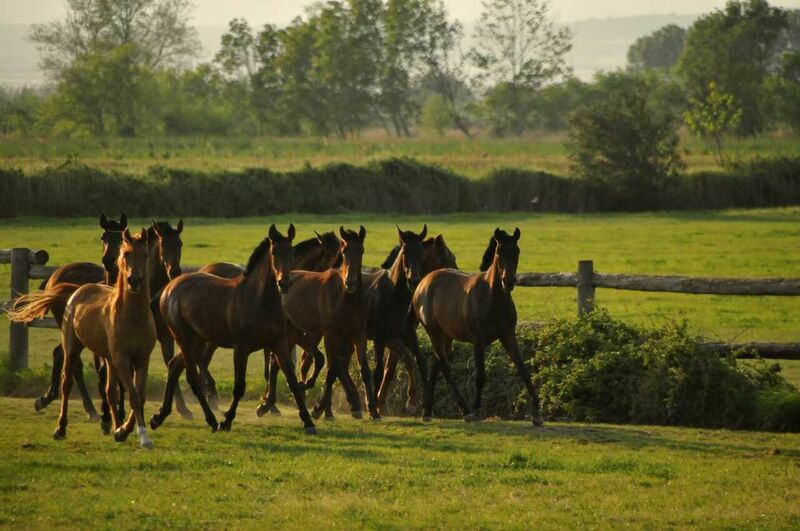 On the outskirts of the lovely village Gariguella, our horses arrive at their spacious accommodation. We stay at Emilia’s cozy house, where we let the day come to an end. Those who want to can relax in Emilia’s Jacuzzi-Spa or enjoy a massage. For dinner David creates another great menu. This time – of course – with the special olive oil and honey from the village! Age-old olive trees and vineyards influence the landscape in the morning. We get closer to the coastal mountains of Rodas. The light in this wild and fascinating landscape is impressive. We admire the proud formations of the Pyrenees’ summits and the deep blue colour of the Mediterranean Sea. Our Andalusian horses climb the mountains brilliantly. In the afternoon, we get to a picturesque bay of the “Wild Coast” where David is waiting for us with a mouth-watering picnic on the beach. In the evening, we return to Emilia’s place. For our last dinner David has come up with a very special idea: a menu with 5 courses that we will remember for a lifetime! e enjoy the delicious food and celebrate the end of our gourmet trail with local cava and vino tinto. Visca Catalunya! Transfer to Barcelona or Girona. Departure or continue to another trail along the Wild Coast or to the Pyrenees. 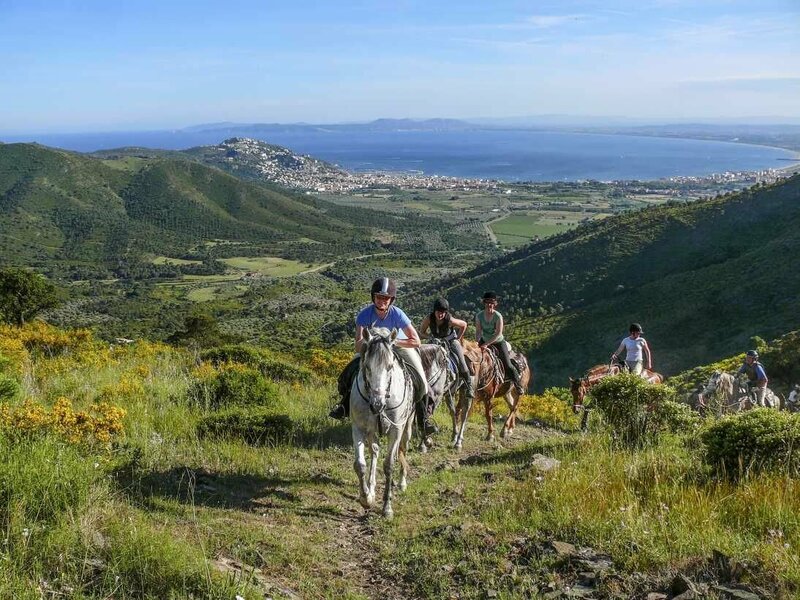 Exciting horse riding by the sea, from the Gulf of Roses to the Cap de Creus. Following the tracks of the artist Salvador Dalí along the Mediterranean coast. The Dalí Beach and Coast Trail is based on the so-called Dalí triangle that consists of the villages Pubol, Figueres and Cadaques. 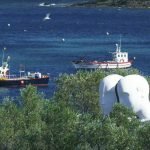 The Dalí Beach and Coast Trail connects the charm of the Empordanet region with the long sandy beaches of the Bay of Roses and the wild coast of the Cap de Creus. The life of the famous artist Salvador Dalí will be brought closer to you by this wonderful ride through diverse countryside. Arrival at Barcelona or Girona and transfer to a beautifully situated country hotel, a typical Catalonian house built of natural stone. It dates back to the 17th century, and it is surrounded by woods as well as walnut tree and olive groves. The location in this idyllic area where silence and tranquility prevail makes this guest house the ideal place to enjoy nature and to relax. The lovingly designed garden, the pool, the meadows, and forests provide a wonderful atmosphere. What a place to start your horse riding holiday! Past peaceful rural villages, our path winds through the hilly landscape of Empordà. The sandy bottom and the shading crowns of the Mediterranean pine forest invite to long gallops. On the edge of the River Ter we strengthen ourselves with a picnic. A soothing calm surrounds us. Later in the afternoon you will be in a fast pace to a pretty village at the foot of the Gavarra Mountains. We stay in a lovely restored guest house. We ride through the magical old villages of the Empordanet. With echoes of the horses’ hooves on the old paving stones, you will be taken back in time in this hidden area of Catalonia. When we reach the village of Pubol you can visit the 14th Century castle of Gala, which Dalí gave to his wife, Gala, as a gift. We have lunch at a restaurant in the village before continuing our horse riding experience to the beautiful village of Peratallada. This morning we will canter across the plain of Ullastret, which was a big lake in the Iberian times. A smooth trail leads us through mellow sand dunes and Mediterranean pine forests, up to the rough looking coastal mountain of Montgri. On top of the cliffs there is a magnificent view overlooking the endless sea. Sea birds glide with thermal winds over the coast and the lovely fragrances of rosemary, thyme and lavender surround us as we sit down to have Tapas and Vino tinto in the open air ‘restaurante Buffalo’. Later on, we follow the paths that lead us through sand dunes to the sea. We stay overnight in a hotel directly at the “Playa Grande”. As the day breaks you can smell the sea and taste the salty air. You are right by the sea with your horse and in front of you are miles of sandy beaches. With the sunrise, we will canter through the break point and your horse will play with the waves – they love the refreshing water. Through the rice fields of the natural park near the coast we arrive at our domicile for this night: the oldest Andalusian P.R.E. Stud of Catalonia (P.R.E. = Pura Raza Española). But here, not only wonderful horses and their history do await us, but also charmingly furnished rooms. We can look around in peace and simply relax. And who knows: Perhaps you find here your dream horse! We will have lunch in Figueres and have the opportunity to visit the “Teatre Museo Dalí” and to stroll through the streets of the city in the afternoon. In the evening, we will surprise you with a delightful paella of seafood and fresh vegetables. We ride through sunflower and corn fields over the plains of the Alt Empordan. In long canters, we cross the marshlands of Aiguamolls. This protected land is surrounded by the coastal mountain range of Rodas. At the foot of the mountain Joan serves a delicious picnic in the open air ‘restaurante Buffalo’. We continue our journey, and in the evening, we reach our accommodation, a restored mansion dating back to 1582. Surrounded by picturesque nature and a wide view of Alt Empordà and the Bay of Roses. Until the dinner we refresh ourselves in the pool or let us spoil with a massage. An old trade route winds through rocky terrain into the natural park of Cap de Creus. Home of Salvador Dali and third chain member of our Dali Trail. Here the last foothills of the Pyrenees sink into the electric blue sea. 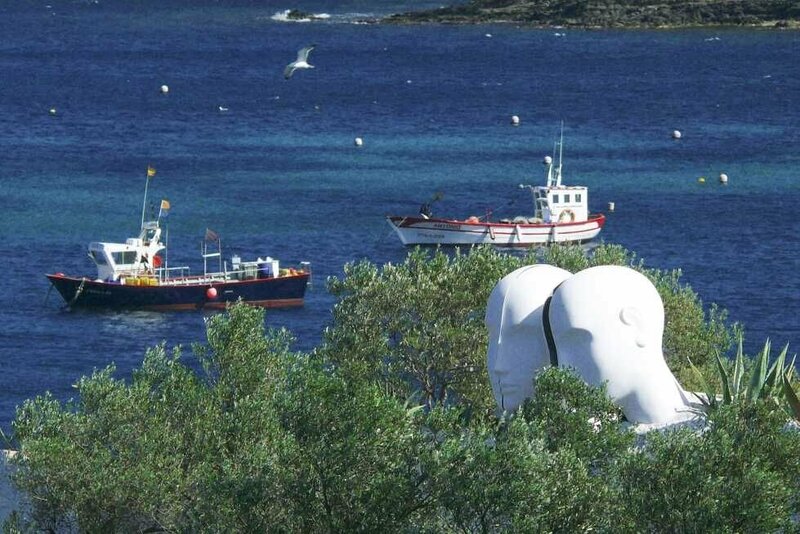 Our four-legged friends climb over a pass to Cadaques, the pearl of the Empordà. The whitewashed fishing village with its old winding streets is rightly considered the most beautiful village on the Costa Brava. The clear colors of the sky and sea, the excavated rock formations, the luminous bays and deep ravines inspired Dali for his works of art. The typical dinner in the restaurant of the fishing village rounds off the trail. 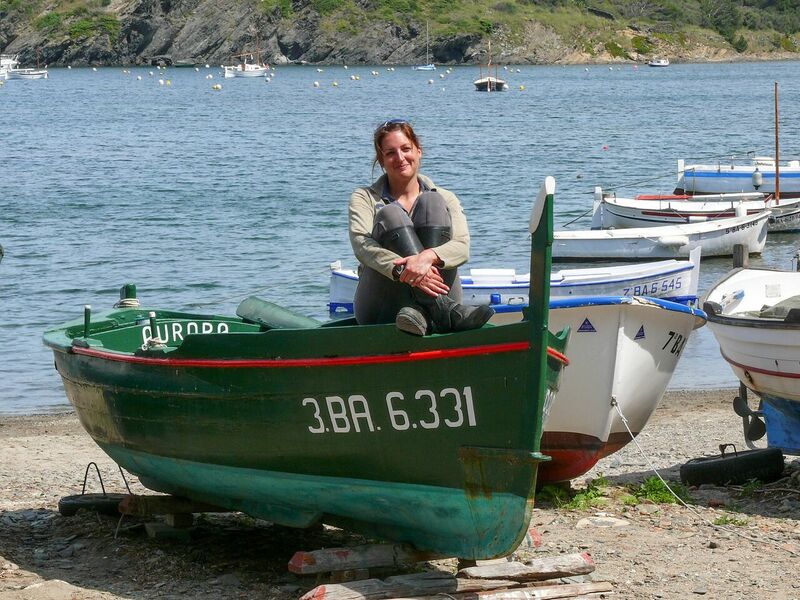 After breakfast, transfer to the airports or continue to the Catalan Coastal Trail. We had an amazing time! Absolutely loved it there! Everyone was brilliant, the food was amazing and there wasn’t one horse we didn't like (and we rode nearly all of them between us). Thanks a million for everything once again! Already thinking of going back there for the ferias next year!